Manu Bennett (Spartacus) has been cast as Slade Wilson. He will apparently be appearing in multiple episodes of the show. No word on if it will be in flashbacks or the modern day segments. Damn. Slap an eye-patch on that sucker and he's perfect, looks-wise. 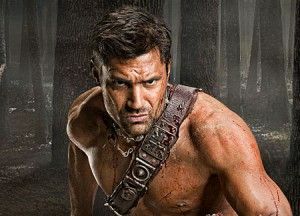 I haven't seen the Starz Spartacus series - anyone know how his acting chops are?